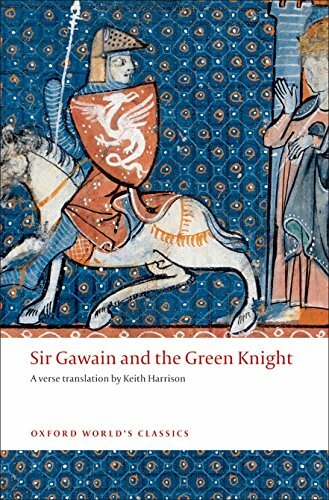 'The finest translation in and for our time' (Kevin Crossley-Holland) Sir Gawain and The Green Knight, with its intricate plot of enchantment and betrayal is probably the most skilfully told story in the whole of the English Arthurian cycle. 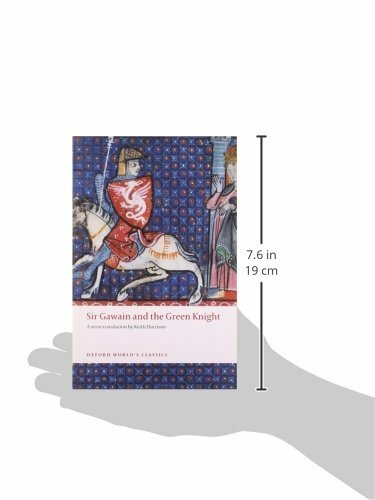 Originating from the north-west midlands of England, it is based on two separate and very ancient Celtic motifs of the Beheading and the Exchange of Winnings, brought together by the anonymous 14th century poet. 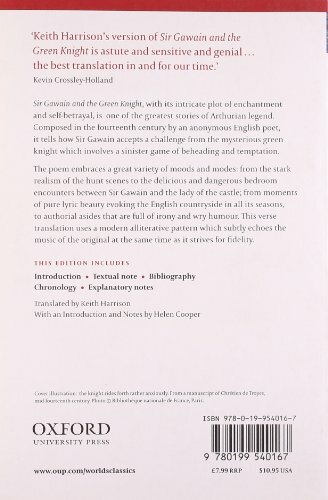 His telling comprehends a great variety of moods and modes - from the stark realism of the hunt-scenes to the delicious and dangerous bedroom encounters between Lady Bercilak and Gawain, from moments of pure lyric beauty when he evokes the English countryside in all its seasons, to authorial asides that are full of irony and puckish humour., This new verse translation uses a modern alliterative pattern which subtly echoes the music of the original at the same time as it strives for fidelity. ABOUT THE SERIES: For over 100 years Oxford World's Classics has made available the widest range of literature from around the globe. Each affordable volume reflects Oxford's commitment to scholarship, providing the most accurate text plus a wealth of other valuable features, including expert introductions by leading authorities, helpful notes to clarify the text, up-to-date bibliographies for further study, and much more.